Electro-Harmonix have taken the NYC Big Muff Pi, the world's most popular fuzz pedal, and turned it up to 11 with the Deluxe Big Muff Pi. 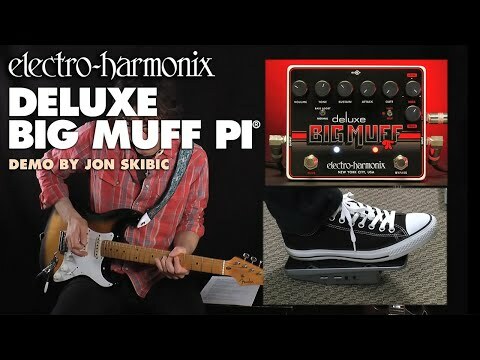 Sa..
Electro-Harmonix have taken the NYC Big Muff Pi, the world's most popular fuzz pedal, and turned it up to 11 with the Deluxe Big Muff Pi. The Big Muff Pi is the world’s most popular fuzz pedal and is used by all sorts of popular recording artists such as John Frusciante and Jack White. In production since 1969, the Big Muff pedal adds a great, vintage-style fuzz pedal. It works great for adding that extra bit of buzz for blues-style, extra crunch for hard rock and awesome tones for funk playing. The Big Muff Fuzz pedal has a sound that is entirely unique. What Electro-Harmonix have done is taken the standard NYC Big Muff Pi and given it a series of upgrades so that it can cope with the demands of the modern bassist. What’s New in The Deluxe Big Muff Pi? 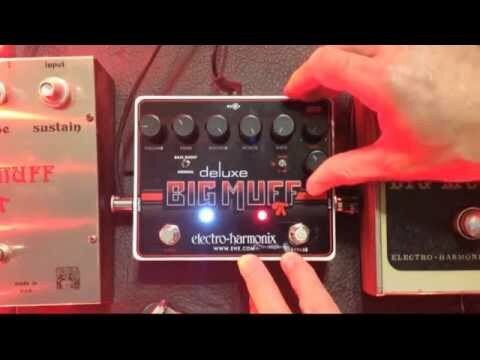 Simply put; the Deluxe Big Muff pedal does everything the standard version does and more. Retaining the familiar volume, tone and sustain knobs of the standard Big Muff pedal, a few more options have been added. An adjustable noise gate allows you to eliminate noise and hum while preserving the original attack and tone of your guitar’s sound. An attack control adds punch to single notes and clarity to chords or a range of sounds you can experiment with to find your own unique performance. A new EXP input allows you to connect an external expression pedal for sweeping the mid-range frequencies in real-time. There’s a switchable bass-boost feature which adds great low-end to your sound for a fuller, bolder tone. Then there is the MIDS boost/cut footswitch. Activating this takes into account all your settings from the brand new MIDS section which gives you incredible degrees of control over your tone. 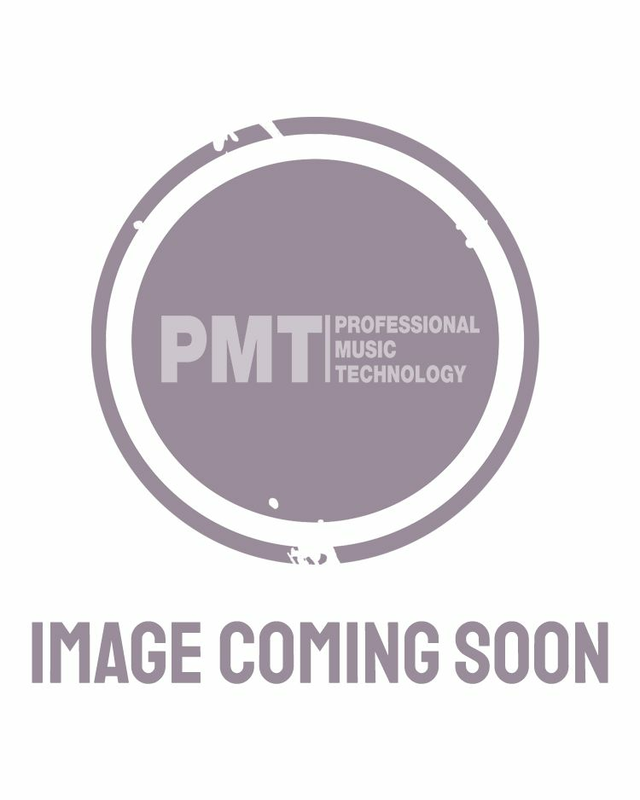 One of the best additional features of the Deluxe Big Muff Pi has to be the brand new MIDS section. The MIDS section features four different controls for you to be able to fully customise your mid-range tones. A level knob allows you to boost and cut the overall level coming from the MIDS section and a frequency knob allows you to set the centre of the mid-range frequencies you want to emphasise. The Hi-Low Q switch allows you to select between a wide or narrow bandwidth on your mid-range frequencies. Lastly, MIDS footswitch allows you to activate and deactivate the entire section in a flash. Suitable for all sorts of style of music, this is the deluxe version of the most popular fuzz pedal of all time. The Deluxe Big Muff Pi features a unique fuzz tone that you will love playing around with.